Sexual abuse of children is tragically common. 10% of all children are sexually abused by the age of 18. At your local elementary, middle, or high school, 1 of every 10 children is struggling to process crimes that violate, fracture, and sabotage the psyches of adult victims. Child victims have the additional burden of making sense of sexual assault before reaching their own sexual and intellectual maturity. Complicating this process for child victims is the fact that 30% of them are abused by members of their own families. Such a child may be fortunate enough to live in a house, but never a home. It’s well known that childhood is the fastest period of brain development in children. 35% of child victims are under the age of 12. During the critical phases of child development, sexual assault scrambles, stops, and even reverses normal development. 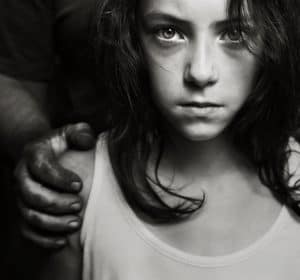 Even if the signs are subtle at the time of the abuse, child victims frequently grow into adults with a myriad of crippling mental-health and substance-abuse problems. Sometimes child victims cope by becoming abusers themselves. Nearly 40% of child sexual abuse involves perpetrators who themselves are children. Most stunning perhaps is the fact that 90% of child sexual abuse victims know and trust their abusers. Children depend on adults and sometimes older children for safety, food, shelter, clothing, education—all that they need to grow. Children are likely to conclude that disclosing abuse from a caretaker would jeopardize their access to these critical resources. And this dependency is exactly what makes children such easy targets. Predators don’t limit themselves by demographics. Regardless of a child’s gender, ethnicity, religion, age, income, or family structure, 100% of children are at risk for sexual abuse. WCAC is a critical player in our mission to protect children and strengthen families. We urge you to join our work through your financial support. Your donations bring sexual predators to justice and provide the counseling and community support 1 in 10 children so desperately need. We thank you for investing in the health, safety, and future of child victims of sexual assault.